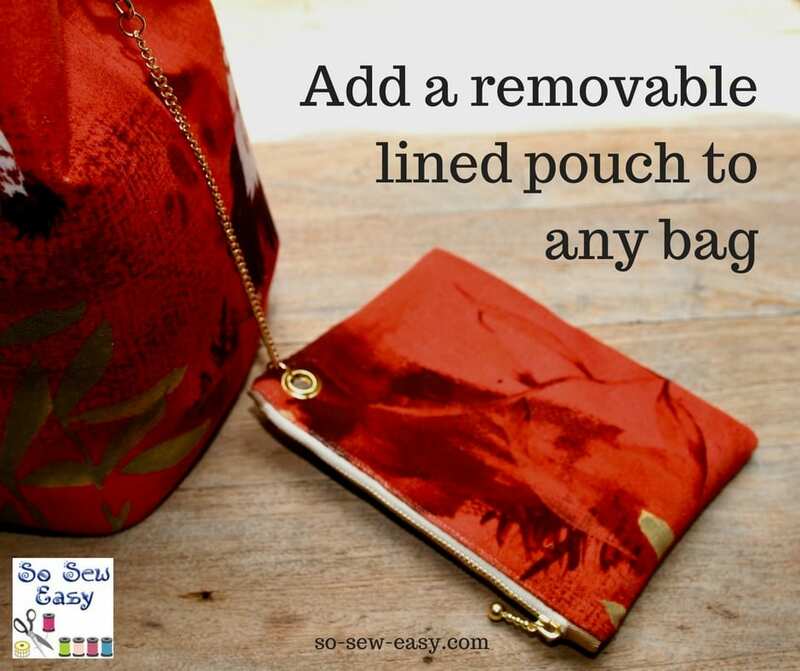 I'd like to show you a tutorial on how to make a removable lined pouch to add to any bag. This is an especially useful little addition when your bag doesn't have enough pockets. This tutorial is also part of the Morgan Bucket Bag. Take a look at this Small Canvas Tote Bag, too!